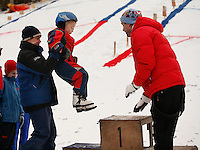 FIS Nordic World Ski Championships 2011 will take place in Oslo from 23 February to 6 March 2011. Photographer Fredrik Naumann has for several years followed a group of young ski jumpers using the old ski jumping arenas in the Oslo area. 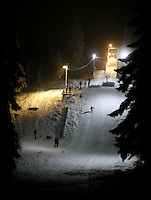 The children, some as young as six years old, dream of one day jumping in the large ski jump Holmenkollen. 22. February 2010 the new Holmenkollen ski jumping arena was ready and March 3rd the first jumper got to try it. But this new arena is equally important for the next generation ski jumpers. They too are now getting new facilities next to the big jump. For many years recruitment to the national sport has dwindled, and ski jumps around the country have become derelict. Ski jumping enthusiasts hope the new arena will save the national sport.